Elephants in Yankari Game Reserve are being threatened by an unprecedented rate of poaching (fueled by the huge illegal ivory trade market existing in the region and apathy resulting from the destructive behaviour of elephants) and the illegal presence of cattle in the reserve. We intend to work on the attitude of the local communities, assess the extent of crop raiding by elephants and the relationship between nomadic herding and the presence of elephants, generating corrective measures accordingly to conserve elephants in the reserve. The reserve’s rangers and youths from the surrounding communities will be mobilized to participate in the proposed conservation measures that will be presented. A GIS map will be produced showing the relationship between the distribution of elephants and nomadic herds, demonstrating an absence or presence of an interaction between them. 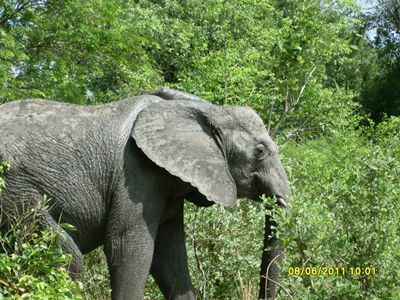 We expect that the nonchalance expressed by the communities will be replaced by concern for the elephants and the threats they face, contributing to the conservation of elephants in Yankari Game Reserve.